Capcom has been releasing a lot of HD remakes of its old games lately. 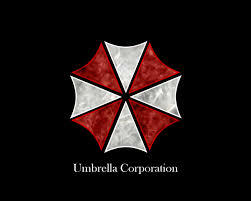 For example, the HD remake of the original Resident Evil which was released earlier this year and sold very well. They’ve also announced a remake of Devil May Cry 4 which is supposed to come out on the 23rd of June. 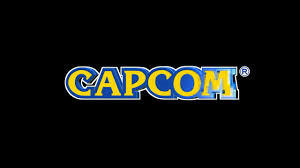 Is that a good thing, or is Capcom just playing on our nostalgia for an easy buck? We can understand where they’re coming from, even if we don’t like the position. As they’ve stated in their Q&A, sales of the remastered Resident Evil were much higher than anticipated and they claim that this has created more demand for titles like this. The fact that Resident Evil remastered was offered as a digital copy only is also part of the reason that any future remakes will probably also only see digital release. They’re hoping to capture the same audience. The other reason is that, according to Capcom, it’s very hard to ship physical copies overseas and keep the prices low because retail gaming stores are dying out. Now on the one hand, of course remakes are great for fans. Much as we might love the original games, compared to the beautiful graphics of today, the old games look like crap. We can’t exactly pretend they were flawless gameplay-wise either. A remastering could fix all of that and give the fans of the original games an updated version of a fond memory. Is that why Capcom is doing this, though? While they haven’t reached EA levels of corporate and evil, their relationship with gamers is unsteady at best. It seems much more likely that this is simply a corporate decision to squeeze a few more bucks out of dying franchises. Nostalgia pays well, after all. Just ask any kickstarter campaign for movies or games. Even if that is not the case, the decision doesn’t really become any less creatively bankrupt. Instead of spending time on coming up with new intellectual property, why not rummage around in the dustbin for a dead horse to beat? It takes less time and effort. Can we hold this against Capcom? Well, not if they had shown any indication of stopping, but since they haven’t, we probably can. Making a HD remake or two is one thing, calling it a “Key business activity” is another. It’s not the remakes that have us concerned, but their attitude towards it. Remakes are fine, but we’d prefer to see something original. What do you think? Are you actually eagerly awaiting any and all remakes or would you rather get some new games too? Let us know in the comments below! Don’t forget to follow the Fanbot so you’ll be the first to know when we post new content! If you want more from the Fanbot, be sure to visit our Facebook, Twitter and Youtube pages and we’ll be sure to get you sorted!